There’s a whiff of triumph in the air: ten new specialist qualifications for the digital industry, each seeking to provide the skills needed to become a confident practitioner in disciplines as diverse as Analytics, SEO, UX, and Social Commerce. Econsultancy’s new Graduate Certificates offer an accredited route to mastering the implementation of a range of core digital skills and offer supported learning on the job. Created in direct response to client demand (and our own findings in the recent Skills and Structures report), these new qualifications are an important development for us. Not only are they the first UK qualifications to address the needs of specific digital disciplines at this level (as opposed to generalist courses) but more importantly, from the perspective of creating a professional development narrative for digital marketers, they fulfil an important role in the provision of flexible yet coherent education. In short they’re manageable and practical. Creating a new qualification comes with a mysteriously archaic process all its own, including an invitation to appear before the validation panel and ‘sell’ your proposed programme to a group of senior academics. Gaining recognition for ground breaking subjects which are new to academia is always a nerve wracking process. There is nothing else to do but hope that they see as much value in accrediting your specific subject and structure as you see in gaining their validation. Granted, at Econsultancy we’re becoming old hands at this but happily, as of Monday, our new Graduate Certificates have been given the seal of approval. To date, we have offered digital education at opposite ends of the spectrum. Attend a one day short course or undertake a full MSc. At six months’ part time study, the Graduate Certificates occupy a more manageable middle round, offering a route to professionalization within your chosen field. Think of them as an extended training session, but with time to reflect and implement what you’ve learnt whilst receiving support from the experts. They are an ideal fit for those looking to break into the industry, or wanting to formalise their skills in a particular area. Qualifications within digital are still viewed with some skepticism but the industry is maturing and people like to have a frame of reference for their knowledge progression. There is, of course, no substitute for experience, but accredited learning that allows you to highlight your professional areas of interest and benchmark your expertise against a recognized set of standards is powerful for both the individual and industry. The new Graduate Certificates combine an external and globally recognized seal of approval, whilst having a direct and measureable impact on people’s day to day working lives. And if you can combine education and experience, so much the better. 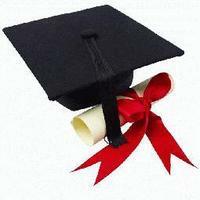 The first Graduate Certificates beginning on 2nd May are on Web Analytics and SEO. Applications will be accepted through to March 31, but a £250 discount is available to everyone who returns their application forms before close of play on January 31. Parts of the internet will go black tomorrow. From Wikipedia and Reddit to the Cheezburger network and Major League Gaming, numerous highly-trafficked web properties say they’ll shut down to protest the SOPA legislation that would make the internet far less free in the name of fighting piracy. Even Google is going to be making a statement using its homepage. The blackouts are going on despite the fact that SOPA is effectively dead — for the time being. Customer data specialist QuBit has launched a new tool that captures, categorises and analyses feedback from website users in real time. Called Exit Feedback, this targets people when they’re leaving a site and invites them to provide feedback on their experience in free text. It’s already in place on the websites of Arcadia Group, the BBC, Blackberry and Duchamp.